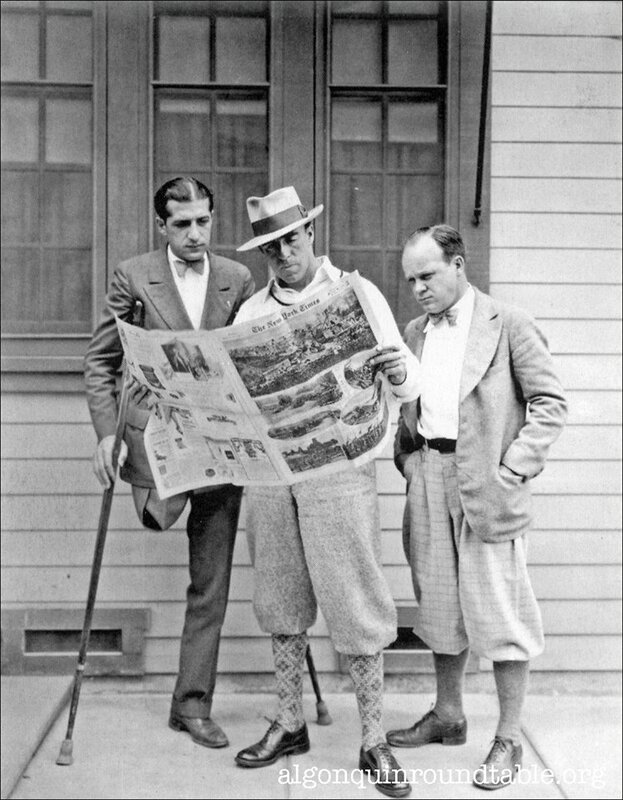 Laurence Stallings, left, with Raoul Walsh, center, and an unidentified man. Walsh directed “What Price Glory” (1926) based on the hit play by Stallings and Maxwell Anderson. Walsh was a founding member of the Academy of Motion Picture Arts and Sciences and made 100+ films. Stallings was a Wake Forest graduate who fought with the Marines and was grievously wounded in 1918. In 1922 he needed to have his leg amputated. Stallings moved to New York, joined The World. He was a member of the Algonquin Round Table. He left newspapers and moved to Hollywood.